Läs mer om innehållet nedan - OBS Engelsk text! Welcome to our first issue of Viewpoint Colour, created by View Publications and FranklinTill Associates for all colour conscious industries. Offering you visual inspiration, design direction and a global perspective on colour, we see it as a sister magazine and perfect complement to our highly successful, Viewpoint Design magazine, which is dedicated to product innovation, and a logical follow-up to our colour forecasting book, PantoneView Colour Planner. 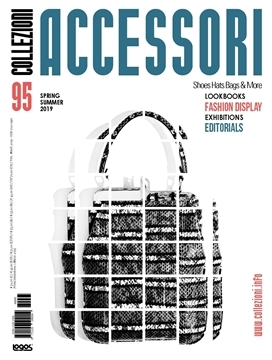 Why a magazine dedicated to colour? Colour is the single most powerful communication tool, influencing 50% - 85% of ideas and product purchase decisions. With 80% of human experience filtered through the eyes, visual cues are vital in getting a message across and nothing does this better than the thoughtful use of colour. Our aim is to supply you with the critical and actionable colour intelligence you need to make your colour planning easier. With a focus on what’s really important, Viewpoint Colour will give you both a macro and local view on key colour stories, focusing both on the short term and the long term. We achieve that by working on two levels: short-term forecasting/orientation where we map out and analyse key upcoming colour direction 12-18 months ahead of the season; and long- term forecasting/orientation, what’s on the colour horizon three years from now. In our opening issue, we have put ‘neo-nature’ at the core: a modern, organic and purposeful story using classic inspiration. Biomimicry has long since been a deep well of inspiration for designers and will continue so until the genetic code of Mother Nature has been cracked. We see green, with its sense of soothing continuity, as the zeitgeist of the moment. Originally the Viewpoint magazines were born to take up branding and strategy questions. We still hold to that remit, but we have sought to broaden the appeal of these publications by first expanding our design coverage and now our colour intelligence. As ever, our wish is to put design and now colour into perspective and provide a voice of authority and integrity for all interests. 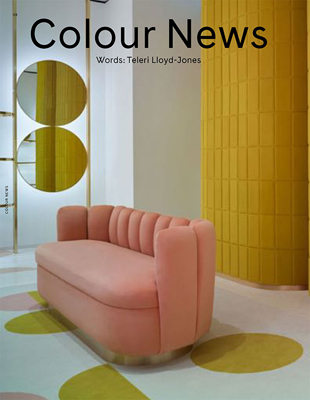 Deep reporting into what is going on in the world of colour now/ Topics include: Patricia Urquiola’s portrait of a city; why pink is perfection for RedValentino; colourful conclusions from a decade of experimentation by Hella Jongerius, Gestalten; viewing history through a Kodachrome lens and more. Humans are masters of adaptation, able to react to changing circumstances and innovate when faced with new challenges. We are witnessing the redefinition of nature and the evolution of a neo-natural world. In response, we are modifying our industries, attitudes and behaviors, and implementing new design methodologies that maximize our relationship with nature. Four major colour stories: ‘Engineering Nature’ reflecting our inherent connection to the natural world; ‘Alt. Farming’ recognizing the inefficiency and wastefulness of current agricultural models; ‘Harvesting Waste’ reflecting how innovative designers are beginning to harvest postproduction and post-life waste streams; and ‘Future Mining’ based on the discovery and exploration of new raw materials that carry the legacy of industries past. Since 2012, photographer Hyung S Kim has immersed himself in taking pictures of the haenyeo female divers of Jeju, an island at the southern end of the Korean peninsula. For centuries these women, many now in their seventies and eighties, have dived to catch fish without the aid of breathing equipment. Hyung S Kim’s pictures capture the haenyeo as they emerge from diving, exhausted but exuding strength and power. For Cary Vaughan and Jenna Wilson, colour is inseparable from texture and pattern – which has made Ace & Jig, their textile-based clothing line, an instant classic. And in a sea of minimalist design, Ace & Jig brings a fresh approach to colour, focusing less on chasing trends, and more on relaying a story and a feeling in each garment. Celebrate the poetry of process. The application of dye and pigment to surface becomes an experimental art. Embracing the uncontrollable, dynamic colour is captured in an imprint. Though the process is repeated, the reaction is unpredictable, so each replicated object is nonetheless unique. We look at the Pantone® Color of the Year 2017 and analyse with Leatrice Eiseman, executive director, Pantone Color Institute, the thinking behind the choice and what it means to the market. When we are exposed to combined colour and light, our physiological state can also be affected. The blue and red spectrums in particular have been shown to affect our physical performance and wellbeing – and can even manipulate our internal body clocks. Here we speak with leading artists, designers and manufacturers to discover their favourite colours of the moment and the reason behind their choices. From teal to shades of green, the answers are surprising and informative. Here we look at the long term, three-year zeitgeist in colour. In complex times we look to a reassuring, restricted palette. We are enamoured of the uncompromising clarity of primary red, yellow, blue and secondary green. When lines are being drawn and issues of nationality take centre stage around the world, we reimagine identities at a local and global level.